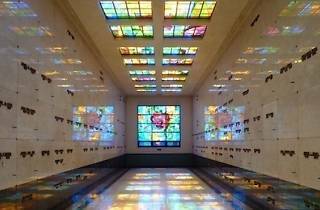 Out of the 80 mausoleums that Cecil E. Bryan (an apostle of Frank Lloyd Wright) built across the country, Mountain View Mausoleum in Altadena is his most prized. This summer, the Obscura Society LA welcomes you to revel in the summer sunset from within the walls of this legendary edifice while enjoying live gypsy jazz and classic cocktails. 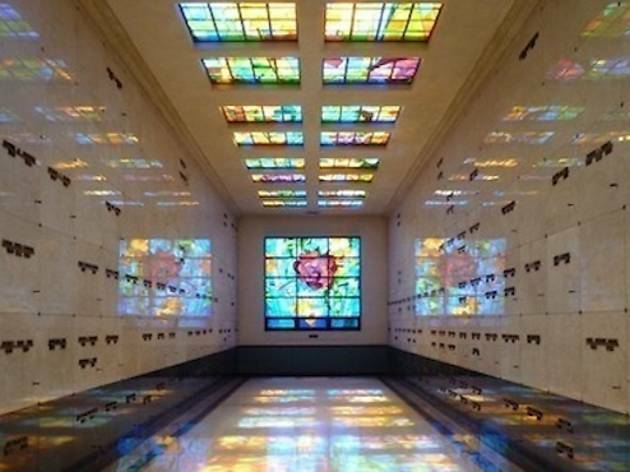 An evening equal parts macabre and majestic, "Moonlight in the Mausoleum" (2300 N Marengo Ave) will feature special guests like LA mortician and death theorist Caitlin Doughty, as well as stained glass specialists Judson Studios, all underscored by the oldschool sounds of the Hot Club of LA. Tickets to the well-lubricated soirée run $55 each, and guarantee a summer evening far more mystical than anything you'll find at say, the Hollywood Bowl.